There are two islands with the same name Pulau Besar. One is near the coast of Melaka and the other one is in the South China Sea. This is about the last one. 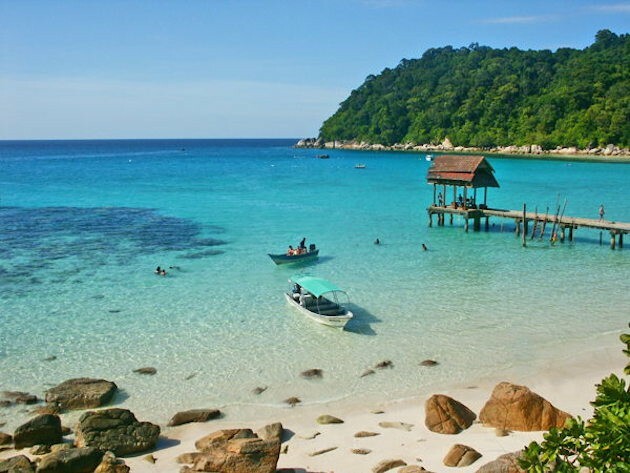 It's located off the east coast of Johor - 15 km from Mersing. 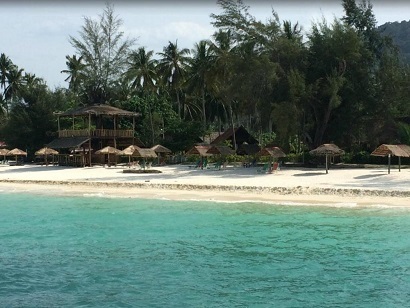 Pulau Besar is surrounded by many nearby islands, like Pulau Mensirip, Pulau Hujung, Pulau Rawa, Pulau Harimau. Even Pulau Tengah on which Survival and Expedition Robinson was filmed, is close to Pula Besar. Divers will be able to dive at Jahat/ Aut, Sakit Mata, Mata Tikus and Rawa. The island is characterized by quiet, clean beaches of powdery white sand that promises an amazingly spectacular view. Crystal clear waters surround the island; Pulau Besar. The waters are so clean that visitors can even see the many reefs from the surface. To preserve the unspoiled marine life, the Government has gazetted it as a marine park to protect around 60 species of marine life from any activity that can harm their natural habitats within 2 nautical miles around the island. There are many interesting activities. 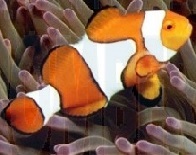 One can go snorkelling, fishing, diving or take a trip to all the nearby islands. Visitors can trek through the woods to see the tropical plants and animals or visit a 'kelong' to see the fishermen hauling up their nets laden with the bountiful harvest from the sea. The wild vegetation of the tropical jungle are rich in many different green colours and the sight of coconut palm dotting the landscape is a normal one. There are about 7 � 8 small villages that are still populated by around 100 friendly dwellers who are mostly fishermen. The island got its former name, Pulau Babi Besar, (directly translated as Big Boars Island) from the numerous wild boars that roamed the island before man inhabited the place. Nowadays there is not a single boar on the island at present and for that reason they changed the name to Pulau Besar. Here, you can find many species of the giant cockle that live on the ocean floor and 6 of them can only be found around Mersing waters.A number of the surrounding islands such as Pulau Aur, Pulau Pemanggil, Pulau Tinggi and Pulau Rawa have been identified as new habitats for the new generation of the giant cockles. These cockles have a life span of 70 years. They are 1-metre long and can weigh as much as 200 kilograms. Tourists will be able to set their eyes on these lovely shelled-creatures while snorkelling in the breathtakingly picturesque underwater. From Mersing, there are several services. Seagull express and catamaran ferries are air-conditioned and comfortable. Speed boats leave every hour. Their first service starts at 7.30am. It takes about half hour to reach. Perfectly surrounded by white sandy beaches with clear blue waters, this property makes a perfect destination for the snorkelers. Enjoy modern amenities while you stay with beautiful rooms featuring air conditioning, an attached bathroom with a hot and cold shower, and a mini fridge. You can also enjoy meals at the on-site restaurant that serves a mixture of local and Western cuisine while capturing the beautiful views of the sea. For leisure, swim in the beautiful on-site pool or enjoy activities at the beach that include canoeing, island hopping, fishing trips to nearby islands, or the adventurous jungle trekking. 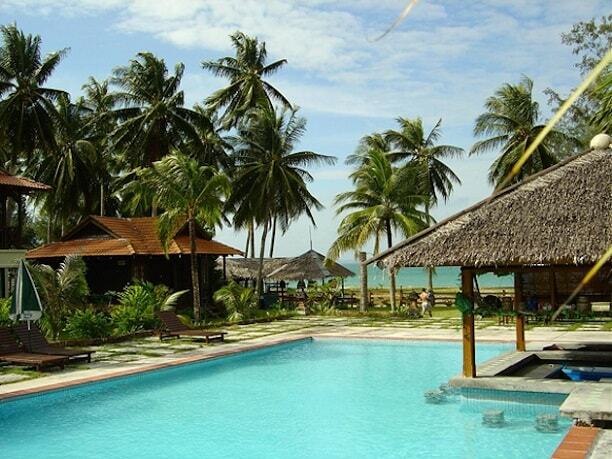 D'Coconut Island Resort makes an ideal base for guests who desire to spend a few days away from the busy city lives. Nestled amidst a pacific haven, Aseania Resort Pulau Besar is surrounded by blue pristine ocean and a myriad of brilliant venues. Whether its a romantic getaway, family vacation, or a friendly gathering, this place has got something for everyone. Guests can indulge in the adventurous activities like snorkeling, diving, and much more. At the same time, leisure guests can relax by the pool while sipping their signature cocktail. Featuring beautiful villas, they are a perfect blend of traditional and local interior designs and state-of-the-art facilities. 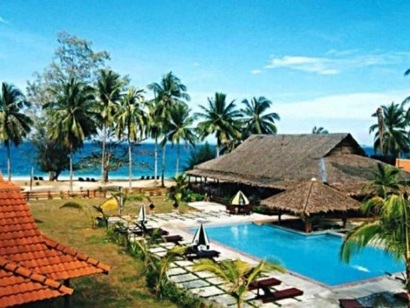 Indeed a rich, tropical, and luxurious resort, Aseania Resort Pulau Besar is simply magnificent. Having served as the film location for Expedition Robinson, Aseania Resort Pulau Besar�s heavenly setting is also truly unforgettable. To preserve its pristine beauty and precious marine life, the government has proclaimed the island as a marine park. This secures the natural habitat found within two nautical miles of the island.